Can you believe that it is already April? I cannot. It certainly does not feel like April in Ohio. At least we still have Farley's "April Currently!" For once, I am listening to absolutely nothing. Sometimes you just need a little peace and quiet. It's a beautiful thing. 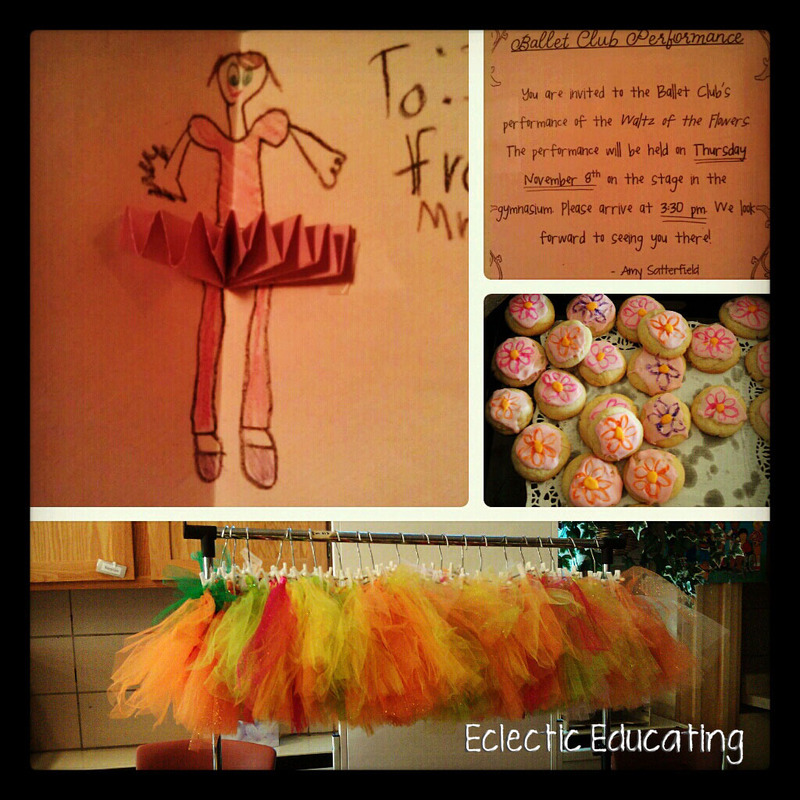 I am loving my little ballerinas! My after-school ballet club started up last week. I have sixteen beautiful, budding ballerinas in the club this session. We had such a great first class. I started dancing when I was three and continued all the way through college. I'd like to get back into dance, but haven't found a place I would like to take adult classes. For now, ballet club will have to do! We have a performance at the school's Fine Arts Festival in just seven short weeks! In just a little over a month I am running a 10k. I am really excited because it is supposed to be one of the greatest races in Cincinnati. Anyone out there heard of the Flying Pig? Unfortunately, I hear it is mostly uphill. I ran a cute little 5k this weekend for Easter. Right now I have been running three times a week. Two days I run 4 miles, and the third day I run 5 miles. I have gotten ambitious and run 6 miles a couple of times. I think I need to start doing that regularly. It's crunch time! Is it greedy to want another spring break? Ours was so early! I didn't get to enjoy Spring! Although, I really should stop whininh and just be glad I get a break at all! I need some warm weather. It was snowing today in Ohio. That is just not ok.
Stay true to yourself! I know it is hard to not compare yourself to other bloggers and TPT stores. Don't compromise your beliefs or your style just to get followers or make a sale. On another note, did anyone fall for any April Fool's jokes, or was that just me? One of my intervention groups came in and convinced me one of our students that just moved was coming back. I got so excited and couldn't believe it. APRIL FOOLS. I fell for it. Hook. Line. And Sinker. Oh man. Snow today? Yikes. We enjoyed the 70s (not trying to rub it in!) but it's supposed to get cold and rainy again this week. I'm always amazed at runners. I can't run. I've tried. I can't breathe, my legs do weird things, my back hurts. I'm probably doing it all wrong. Good luck on your 10k! That's swesome! Oh, and I love that you are working with little ballerinas. I started dancing at age 3 and stopped doing lessons in middle school but was on the high school and college dance team. I miss it soooooo much! I was so shocked that my kids did NOT play any April Fool's jokes on me! And you go on the 10k! I would love to just be able to run a 5k! Snow? That sounds like Mother Nature playing an April Fool's joke. WoW! I'm with Amanda, no running for me anymore; it hurts ... I admire you! Adding you to my blog roll ... Happy April. Other than being utterly convinced that someone I knew was going to have a baby, no real April Fool's jokes were sprung on me. I danced for about 7 years. That's amazing that you have a ballerina club! I wouldn't trade my dancing memories for anything! Oh, I bet those little tiny ballerinas are absolutely adorable! When I taught at a preschool, there was a lady that came in to teach ballet and they were all so precious! I love your advice, somehow the best advice is often the hardest to follow. Good luck with your training. I run one 10k a year.... You sound like you are preparing.... But uphill? Maybe in snow???? Eek! 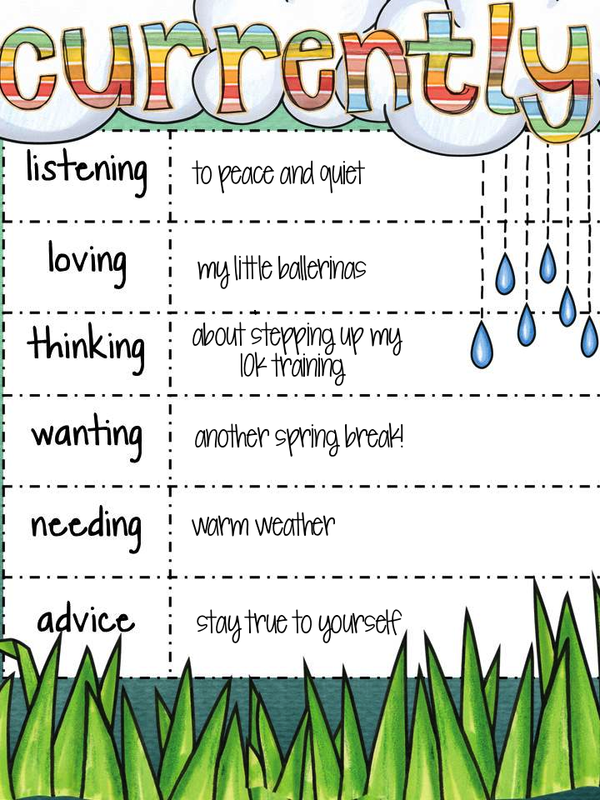 Hope spring comes before then! I love that your school has a ballet club. That must be so fun to teach. Good luck training! I avoid running at all costs! WOW! Good luck at the Flying Pig!!!!!! I so wanted to run that for our Ohio run, but it just didn't fit in our schedule. We are trying to complete one run in each state. it looks like Spring is finally coming to PA ~ I hope it finds you too.